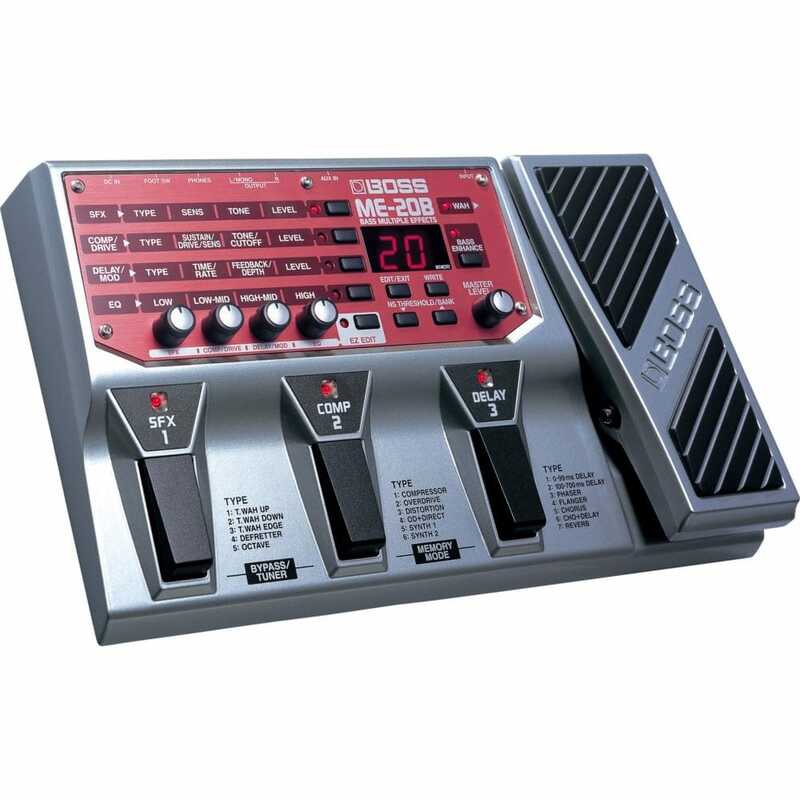 The BOSS ME-20B Bass Multi Effects Pedal is a versatile and affordable multi-effects pedal perfect for gigging bassists. The ME-20B lets you customise and combine a huge range of high quality BOSS effects, including compressor, overdrive, distortion, T-Wah, phaser, flanger, chorus, delay, reverb, defretter, synth, and more. The ME-20B has got the the rugged build construction we've come to expect from BOSS multi-effects pedals and stompboxes.